University Hill is one of Columbia’s oldest residential neighborhoods and was designated in 1964 as an Architectural Conservation District (ACD) by the City of Columbia. Its wide tree-lined streets, generous tree zones, and setbacks have been well preserved. Homes in this area date generally from 1885 to 1950 and contain a range of architectural styles, often exhibiting the work of regionally and locally prominent architects. Due to its designation as an ACD, creatively designed, newer homes also maintain the neighborhood’s scale, character, and established setbacks. The historic design and scale of the homes and properties afford drivers or walkers in the neighborhood beautiful glimpses of the splendor of the past. Live oaks, one hundred year old crepe myrtles, hydrangeas, azaleas, and climbing fig vine abound. Flanked on one side by the State’s capitol building with its manicured grounds and the flagship University of South Carolina and on the other side by the bustling Five Points shopping, restaurant, and bar district, University Hill is ideally located for downtown living. Sidewalks lead to numerous points of interest within walking distance in the City, including the University’s famous backyard–the “Horseshoe”, McKissick Museum, Town, Longstreet, and Workshop theaters, Maxcy Gregg Park and Olympic size pool, Columbia’s Senior Center, downtown Main Street, and live music in the Five Points district. The geographic advantage enjoyed by the University Hill Neighborhood encourages a vibrant mix of individuals and families ranging from diverse professionals, to University faculty and students. 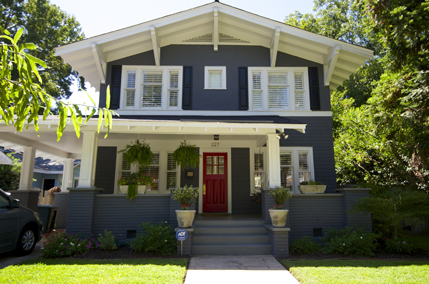 This handsome historic neighborhood is bounded by Harden, Pickens and Blossom Streets. The stunning Saluda Street section of the neighborhood features fine and widely varying homes from Mediterranean style to classically styled estates on large lots. Much of Wales Garden features tree-lined streets named after SC’s scenic rivers, including, Saluda, Enoree, Edisto, and Combahee. A popular neighborhood for the University community, this area is imminently walkable and only blocks from campus. Slightly west of Shandon is the Hollywood-Rose Hill neighborhood, often informally called “Wales Garden.” Less than a mile from the University of South Carolina campus, this neighborhood features traditionally styles homes with varied architectural styles and sizes. Prices range from approximately $200,000 to $1 million plus, and home styles include Mediterranean, bungalows, and Georgian styles. A popular gathering spot for children and adults alike is the neighborhoods’ beautifully landscaped park, dedicated to long-time and much beloved neighbor Orene Horton, who used her incredible gardening talent to make the park a true focal point for Wales Garden. DiPrato’s, a popular restaurant a few blocks from the neighborhood, is an easy stroll and great place for brunch. East of the capital and yet only minutes away from downtown, older traditional neighborhoods abound. These include Shandon, which offers homes ranging from approximately $250,000 to upwards of $1 million. The tree shaded sidewalks and parks of Shandon foster a friendly and active lifestyle attractive to its residents. On any given day, runners, walkers, and dog walkers are abundant on the streets of Shandon. The neighborhood’s friendly vibe ensures you feel at home immediately, as neighbors wave from front porches and gather to chat on the sidewalks or at Sims Park or Emily Douglas Park, both popular gathering spots for neighbors. Forest Hills is located just three miles from the USC campus and the State Capitol building. Characterized by rolling hills and avenues of live oaks reminiscent of the Lowcountry of South Carolina, the neighborhoods’ motto is “Historic Homes and Treasured Trees.” Residents revel in the natural beauty of the neighborhood, which was designed by a well-respected New York landscape architect on land originally considered rural by the early residents of Columbia. Popular as an escape from the malaria found in the more populated city proper, planters escaped to the country that was Forest Hills. Many neighborhood streets remained unpaved as late as the middle of the twentieth century. Architectural styles in Forest Hills are unusually varied and include Cape Cod, French Tudor, Federal Style, and even an excellent example of Mission/Spanish Colonial Revival style, among others. The Heathwood neighborhood, in central Columbia, is conveniently located to Columbia’s downtown, Five Points, Fort Jackson and the University of South Carolina. Established in the early 1900s, this area is generally bound by the streets Trenholm Road, Beltline Boulevard, and Devine Street, There is much history in this area from Dreher High School, SC’s third oldest high school, to the original Heathwood Hall Episcopal School, just to name a few. A beautiful, traditional neighborhood, Heathwood features Colonial Revival style homes, Tudor style and Cape Cod style home and ranges from condos priced around $100,000 to million dollar mansions situated on large lots. Heathwood is located in the heart of Columbia with many parks and great dining and shopping nearby. For more information, please visit: http://historiccolumbia.org/heathwood.